Both are beautiful, Nicole!! 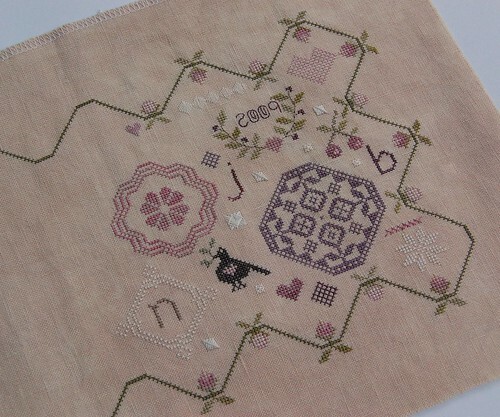 I love your Family Sampler in particular, because I've been jonesing over it since it came out. It is so pretty 'close up'! YGG! Nicole, I am loving both of these! I will have to put LHN Winter Whites on my list of must do's. Who is the designer on the Family Sampler? I really like it too. You have just stitched most of what I stitched this week on FS! I feel like we've been doing a SAL! You've made great progress on both. Have a great week. Your projects are looking beautiful, Nicole. You'll have the Family Sampler done in no time. Winter whites is looking great too. Both look gorgeous but I really love the Family Sampler. Nicole, both are looking great! I might need to get Winter Whites and add to my stash! 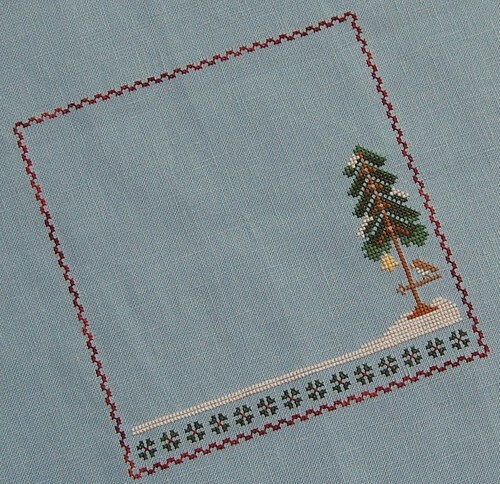 Family Sampler is very, very pretty, but I'm absolutely loving that blue fabric for Winter Whites! What a nice progress already! I looks very beautiful! Two lovely WIPs especially love the Family Sampler! Both are looking great, but I really like Family Sampler. I wasn't sure about it when it was released, but your WIP is very pretty. Going great on FS. That blackbird looks cute! Sounds like you were in for a good afternoon. Relaxing and stitching - what more could you want? WW looks terrific too. Enjoy your week! Both just beautiful! You're turning me on to that Family Sampler...gorgeous! Both pieces of work look wonderful. I particularly like how Winter Whites is growing - might add that to my TO BUY pile! Both projects are gorgeous! And Im jealous of your dedicated stitchy time, lol! I'm loving Winter Whites!! The colors are beautiful! Great progress on both wips!